This Summer, we are introducing a new program for children and teenagers ages 6 to 18. The program is designed to promote focus, relaxation, and communication skills, using mindfulness training, neurofeedback, and robots! This program is great for kids who have anxiety, social challenges, difficulty sitting still, trouble focusing in school, or other behavioral issues. It’s also great for any child who wants to learn more about themselves and the benefits of mindfulness. We make learning self-awareness fun! We begin by teaching basic age-appropriate mindfulness techniques. Next, we introduce Heartmath heart-rate variability and heart coherence training to improve emotional resiliency, and breath and body awareness. We continue with muscle relaxation training, using biofeedback. Once your child learns the basics, we do a brain map to determine the best neurofeedback protocols for optimizing brain function. Neurofeedback trains the brain by giving rewards when brain activity meets the optimization criteria. 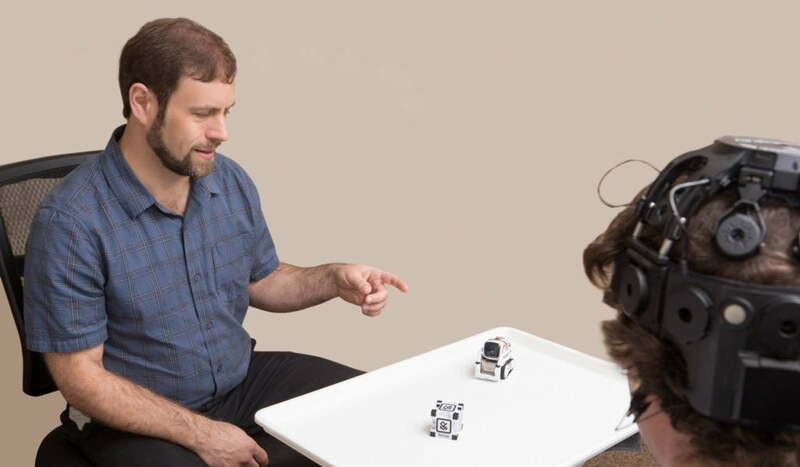 Rewards come in the form of videos, music, games, or performance of Cozmo, our brain-controlled robot! We tailor each program to meet the specific needs and abilities of each child. A standard program includes 20 hours of individualized instruction, with the possibility of advanced training after completion. Shorter programs are also available. We have programs for adults as well! Please call our office to find out more!